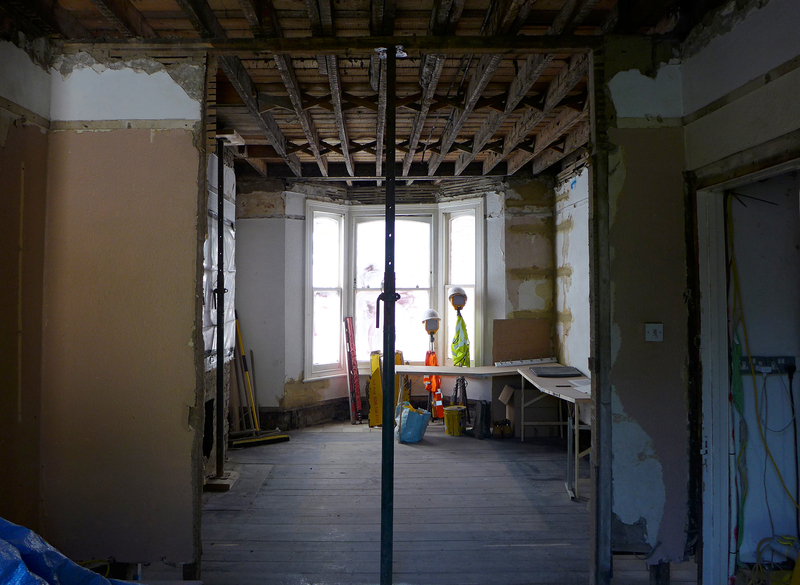 Firmly on track, Collective Works went onsite three months ago with the complete renovation and extension of a historic property in Highgate. Planning approval to create an additional 75 sqm of space to this Victorian terrace was received just four weeks after the owners got they keys at the end of last year. The solid project management means that our client, a Highgate family of four, will be enjoying Christmas dinner in their newly renovated home. The existing building is 100sqm over 2.5 floors (ground, lower ground and first) and includes three bedrooms, one bathroom, one kitchen and front and rear living rooms. 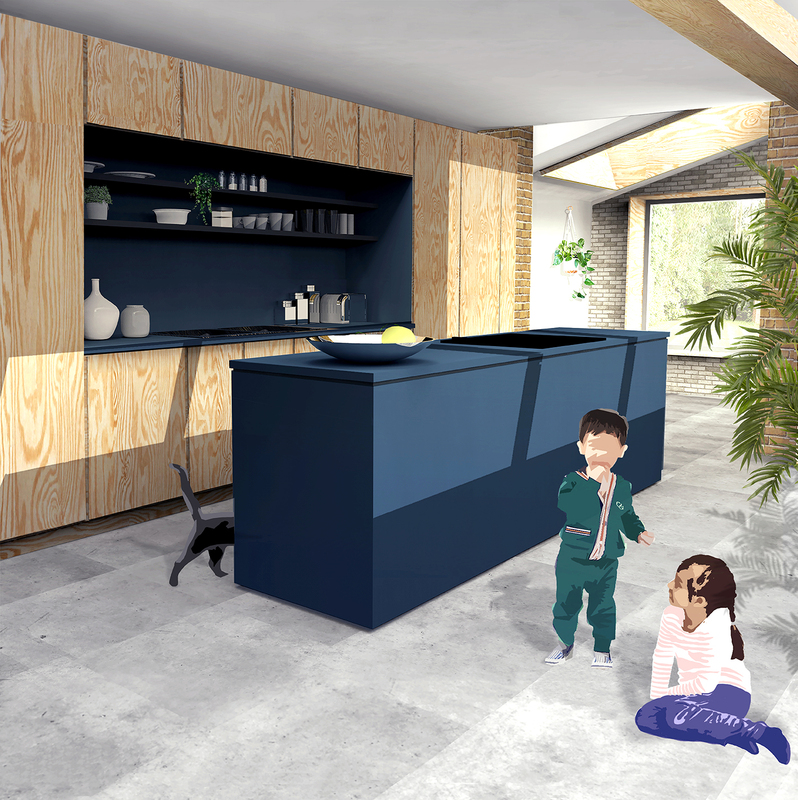 The approved extension will be a reconfiguration of the kitchen and dining area opening those areas, that in Victorian houses are typically small and dark, to the 17m deep garden. The loft extension will see a 4th bedroom and additional bathroom. Given the period and condition of the building it was essential for our project architect to be on site working closely with Newtons, the appointed contractor, as there were several surprise discoveries. The Victorian roof rafters were slimmer than initially anticipated and needed additional strengthening, and we also had to carefully take all of the internal walls back to brick as the existing plaster was too weak to remain. Very delicate demolition was required to open up areas for extensions and maintain the brickwork and detailing. The existing cellar required underpinning, which allowed us to lower the basement floor and thereby adding another 35 sqm of habitable space. 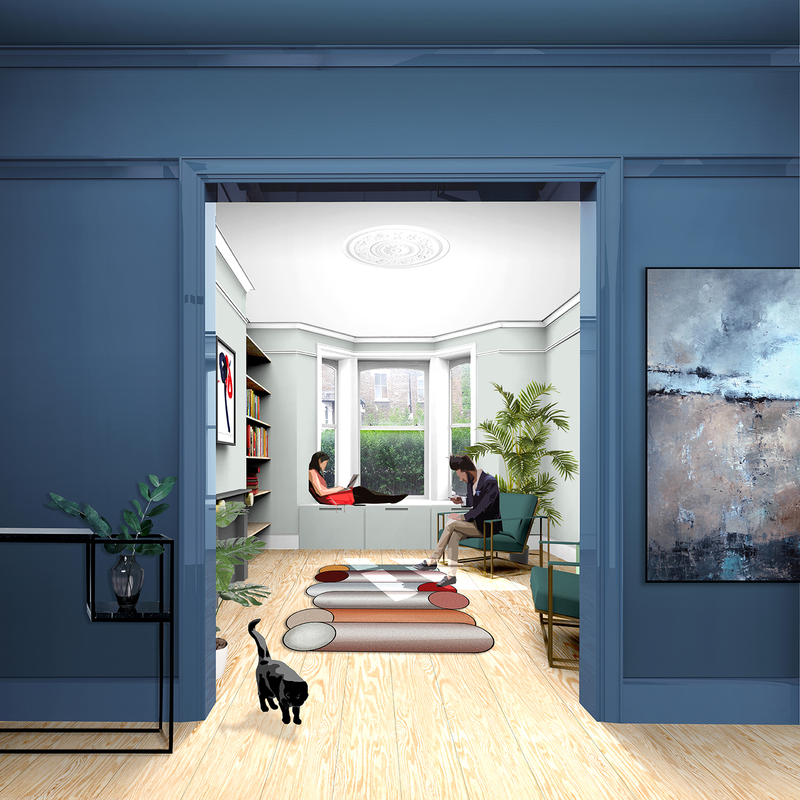 The design will also enhance the historic environment and the extension aspires to be a good example of how contemporary architecture with careful detailing can fit harmoniously with London’s historic housing fabric, and relevant materials used will be matched to the existing features. Existing sash will be replaced by new timber sash windows, while the extension will have modern aluminium windows including AluK and Infiniglide from Arkay Windows. Where possible the original bricks will be reused and new bricks will be supplied by Imperial handmade Brick.